In a life that seems farther away than it actually is, I once worked in an office filled with hundreds of drab gray cubicles. Sunlight struggled to squeeze through the building’s three tiny windows and the sliver of a fourth window not covered by a cubicle wall. Thankfully, my main memories of that job aren’t of hours ticked away in front of my cubicle’s computer screen. Instead they are of of the miles I spent behind my handlebars getting to and from work. What began as an effort to save money and become more fit became the perfect bookend to a day spent in office park hell. For me, getting around by bike has never been about ?being green? or disliking cars. Instead, riding my bike is a cheap way to slip a little fun into the cracks of everyday life. I?m a writer now, which means my ?office? is a library, coffee shop, or an empty bench. I still ride to work, and I arrive energized and motivated. When I?m with my family, riding from point A to point B lets me indulge in a little I Spy time with my four-year-old son. And I always get front row parking at the grocery store. No shower at the office? No problem. 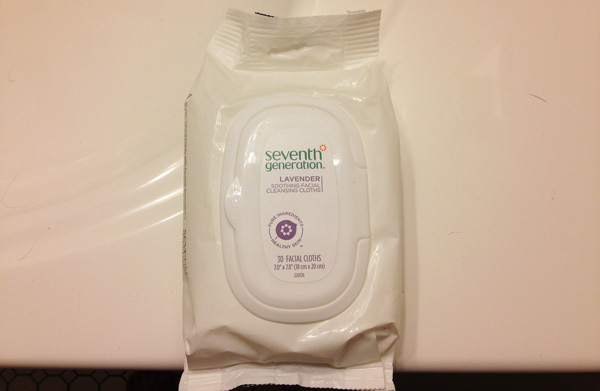 A stock of baby wipes and travel-sized deodorant can make you (almost) shower fresh anywhere, anytime. Panniers are a rider’s best friend. With designs running the gamut from foldout baskets to waterproof bags, panniers add carrying capacity to any bike and take the balancing act out of impromptu trips to the grocery store. 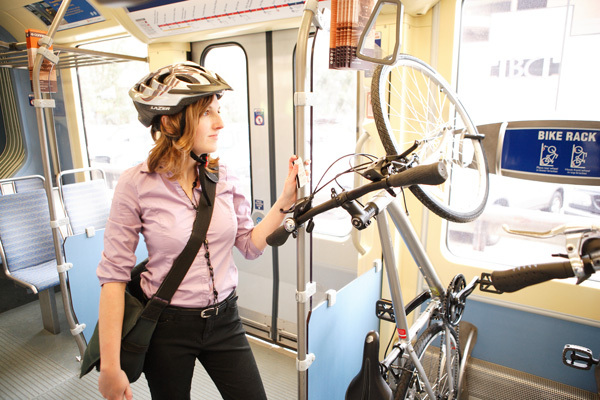 Long commutes don’t have to put the kibosh on biking to work. 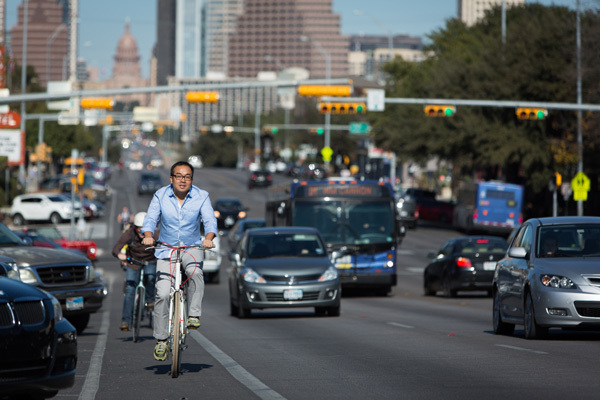 There are a lot of ways for biking to be a part of your commute without replacing it. Leap-frogging (where you drive to work with a bike in the morning, bicycle home, then repeat in reverse the next day), bike/bus/train combos, or even driving part way and biking in from there are all ?bike commuting? in my book. If you plan to change clothes at work, keep extra clothes and extra shoes at the office?there will be a day when you forget yours at home. On the road, visibility is king. 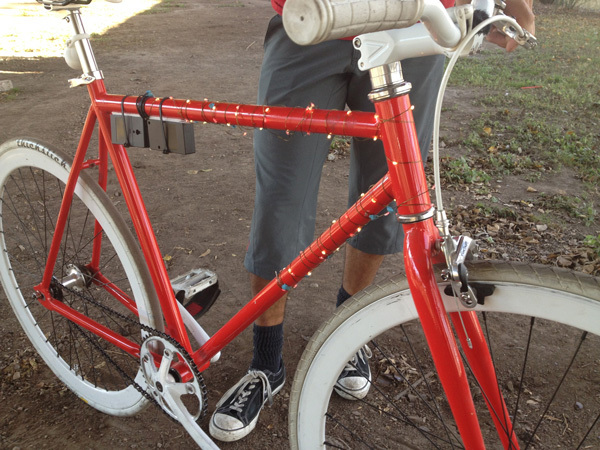 Bicycle lights are more convenient than ever, offering a wide range of power sources, brightness levels, and blinkability. Garbage bags are the duct tape of bike commuting. 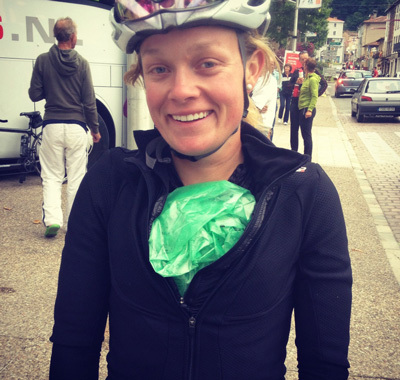 They can be turned into a rain poncho, used waterproof a laptop, or provide a protective layer around your stinky ride clothes. Online maps can help you plan your commute, but nothing substitutes for exploring a new route first hand. Make a dry run on a non-workday and give yourself plenty of time to explore the neighborhoods, side streets and greenways that might make yours a commute to remember. Are you an experienced bike commuter with more tips to share? We’d love to hear your favorite shortcuts for commuting in the comments below. Kristin Butcher is a freelance writer based out of Boulder, Colorado, she spends her time writing about people, the outdoors and, of course, bikes. 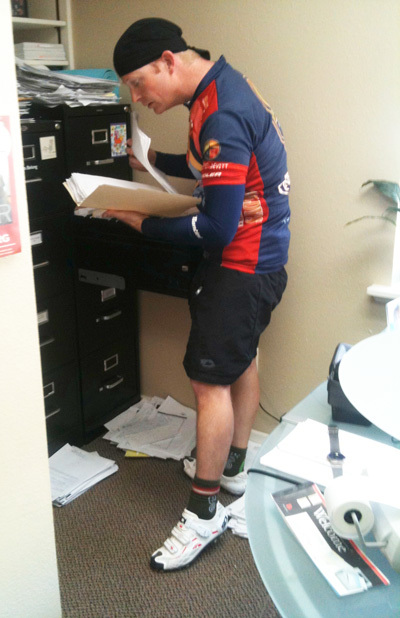 You can read her column, Butcher Paper, in BIKE Magazine.